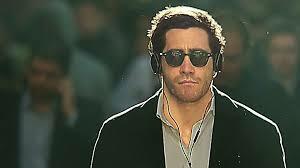 For the first third of the new drama Demolition, Jake Gyllenhaal plays Davis, a man whose wife recently died in a traumatic car crash, one which he witnessed (he was in the passenger seat beside her). After the accident, he starts acting, well, somewhat odd. He doesn’t seem to show any emotion or even grieve in any way. He returns to work earlier than expected. He distances himself from a scholarship his father-in-law wants to create in his daughter’s name. But most important, at least in terms of the story, after a candy machine refuses to give him his order, he starts writing to the customer service department of the manufacturer. However, he doesn’t just air his grievance, he also spills his real feelings about his wife and what is happening to him. The movie is written by Bryan Sipe and directed by Canadian Jean-Marc Vallee (whose first film C.R.A.Z.Y., a study of a dysfunctional family, is still his best, Dallas Buyers Club and Wild notwithstanding), and this first section of the film is a riveting character study buoyed by an expert performance by Gyllenhaal. One has little choice but to want to know what is driving him to act the way he does. 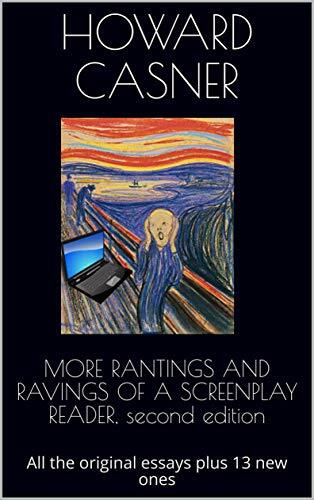 And his letters, which at first betray a severe disconnect between his emotions and reality, become a fascinating insight into this soul. 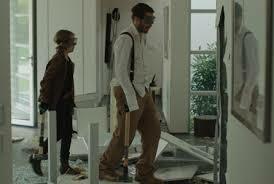 But Demolition is also a movie where you can pinpoint the exact moment when it stops working. And here the moment occurs when Karen, the head of the candy machine’s customer service department, contacts him. At that very nanosecond, you can feel the story slipping its moorings and finding itself cast adrift. I think the central reason for this is because the movie it now torn between too many directions. One is his interaction with Karen and her son, even staying with them at times (the relationship is purely platonic), which in many ways, turns out to be the least interesting through line of the movie. Instead of this giving us more about Davis, it actually starts giving us less. The second is his sudden need to take everything apart: a TV, a computer, the door of a bathroom stall. Anything is fair game. 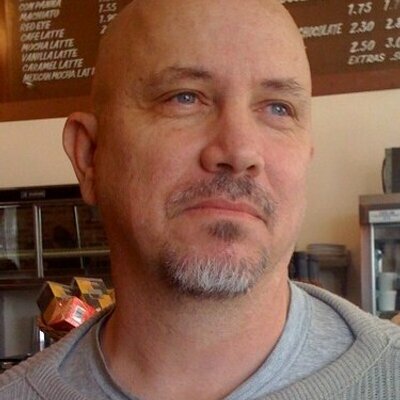 Davis claims he is doing it as a metaphor for trying to take his relationship apart so he can understand it. This is an interesting idea, and if it had been allowed to drive the story, it might have been affective. But it feels a bit too arbitrary to do the job. And at the end, I’m not sure what he got out of it or if he learned anything at all. There is also a though line where he pays the head of a construction crew to let him help tear down a house. I think that’s also supposed to relate to taking things apart (or demolition, in the parlance of the film). But since destruction is not the same thing as taking things apart, I think the metaphor gets a little muddled here. Because of this, the next two thirds of the movie feels as if it is meandering, not really going anywhere. And because everything starts meandering and Davis’ actions become more and more extreme, all I began to think was, “Gee, I wish I had enough money to become this self-indulgent when bad things happen”. It all leads to a feel good ending where Davis pays tribute to his late wife. But I think the reason he considers this to be a fitting memorial is getting lost amid all the destruction. With Chris Cooper in fine form as Davis’s father-in-law. And Naomi Watts marking time as Karen, a part so beneath her, it’s both distracting and a bit insulting. 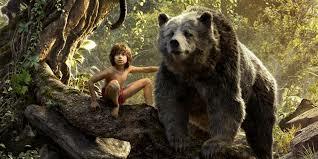 The Jungle Book, the new Disney adaptation (by screenwriter Justin Marks, director Jon Favreau and a host of animators) of the classic Rudyard Kipling story, as well as the earlier animated film also by Disney, didn’t, I’m terrified to say in the face of its overwhelming popularity, do very much for me. I did think that the CGI was amazing, if not wondrous to behold. But while the animals were often a lot of fun, I never connected to the story or the human element contained therein. 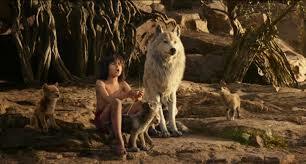 The basic premise revolves around the very young Mowgli, a human who was orphaned after the death of his father and who was then raised by wolves. Though he is dearly loved by most of the creatures around him, it soon becomes clear that he doesn’t really belong and that he needs to find his own people. This is especially true when Shere Khan, a fierce tiger, decides to burn bright and take out the mancub for reasons everybody but Mowgli seems to know (and for some reason won’t tell him). The boy, no longer safe, must now go on one of those hero’s journeys to find himself and his place in the world. I’m not totally sure why the movie never grabbed me. I have a few theories which may very well seem petty to those who love the film. Newcomer Neel Sethi, who plays Mowgli, is certainly game enough, but he doesn’t really have that much screen presence and he brings little to the story. Also, whereas Disney is known for their brilliance in getting rid of parental figures in ingeniously traumatic ways (see Bambi, Dumbo and The Lion King), here everyone involved does the deed with little more than the flick of a wrist (or claw) with the death actually happening more off screen than on, robbing the movie of much of its emotional core. The screenplay also feels a little wobbly. For some reason, since none of the animals Mowgli is close to bother to tell him why Shere Khan wants to rip him to shreds, it gets left to boa constrictor Kaa (silky voice Scarlett Johansson) to do so, who uses the story as a way to hypnotize Mowgli so she can devour him. I suppose it makes sense, but it still felt clumsy. When Mowgli finally gets to Baloo, a sloth bear (Bill Murray), the movie suddenly remembers it’s supposed to be a musical and we hear the Disney classic The Bare Necessities. Though a perfect role for Murray, the energy seems a little lacking here, possibly because CGI moves at a different pace than drawn animation. Or maybe Murray’s drawling way of creating characters, which is so wonderful most of the time, may be a bit too innervating here. 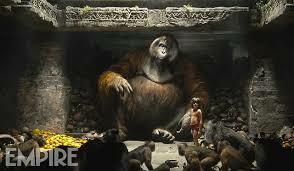 Perhaps the high point of the CGI process is when Mowgli gets taken to a deserted temple filled with various apes and monkey creatures headed by King Louie, a gigantic orangutan. The part is played by Christopher Walken, as clever a bit of casting as Murray. And it ends with an impressive scene of mass destruction. In the end, it all turns out pretty much the way you expected and Mowgli resolves his journey. At the same time, what happens at this point is almost worth the price of admission alone: a witty and stunning set of animated end credits that is perhaps everything the movie wasn’t for me (backed by all the songs I guess they didn’t want to include this time round). But when all is said and done, I do have to admit, it did seem to give the kids of all ages in the audience a lot of pleasure which, I suppose, in the end, is all that matters. With Ben Kingsley as Bagheera, a black panther who is Mowgli’s protector, and Idris Elba and Shere Khan, who not only fight it out tooth and claw, but also have a great battle of the accents as well. They’re the strongest part of the film. And with Lupita Nyong’o as Mowgli’s wolf mother Raksha, who, in spite of winning an Oscar, can seem to get little more than voice over work. I thought it was just me but I was bored too until he met Baloo then bored again until the fight at the end. It wasn’t for us you’re right. I’ll add it was great that the lead didn’t have to be a little white kid for it to make those numbers at the box office or be of interests to such a large audience. Many people even clapped after the film ended.